It certainly pays off to become a champion at the Argent Dawn camp. First of all you get access to four not very hard daily quests that pay almost 25g each time you do them. I skip the dueling nowadays usually, as I got very bored with it. You can also exchange 10g for standing of the faction you’re championing for. Furthermore there are some nice items for sale that you can buy with the champion points you get for each daily. One daily, a group one gives 2 tokens even ! And there is almost always a group doing that one, and it takes only a few minutes. Morpheus now has the purple spell dagger a great combo with Prison Manifest in the off hand. Morphea could have gone for the gun, but I am not sure it’s better than the Nesingwary Gun I am using at the moment. It’s got some extra stats on it though, I might just get it to try it out. For now I settled for the necklace. The Argent Hippogryph is very cool, but at 250 tokens a bit out of my reach ! Just specced Morpheus to Resto as I already have a dps character in Morphea and sometimes the guild needs a healer. I mainly went boomkin for the pvp, but since that’s not a lot of fun anymore these days, I thought Resto Spec would be better. If we ever get a dual spec, I’ll get my Boomkin back ! 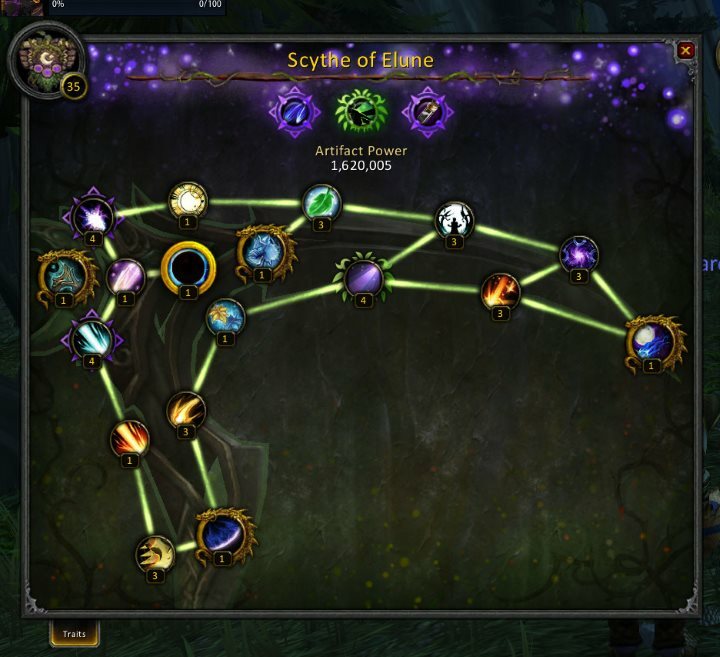 There is an excellent gear guide for Resto druids at wow-insider ! As you can see in the picture below there was quite a bit of interest for the new dailies ;). The new ones are very easy and pay well. 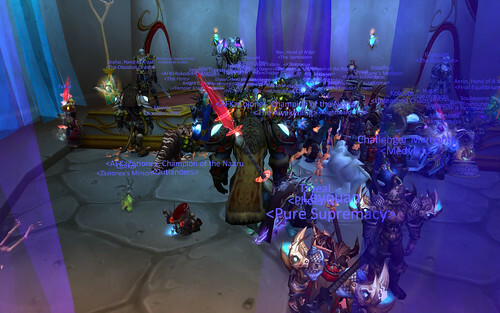 Especially now that the novelty has worn off a little, and you don’t have to fight 6 other people for the same mob. The two new ones in Hellfire are also very good. Quick to do and you get a sunwell surprise packet, that can contain a badge of justice, and always a green item that I usually end up selling to a vendor. There is an excellent overview at cursegaming of all the dailies. Not all are available yet as Aggramar is currently in Phase 2. We also tried the new instance the Magister’s Terrace and unfortunetely got beat by the second boss. I am sure we’ll get our revenge when we get back in somewhat better PVE gear. It’s a beautiful instance and definately different from other ones. A lot of casters though, that are hard on the tank. Only thing I didn’t like were the tight corridors, where you sometimes end up pulling, as it’s hard to see when you play a Tauren and it make the fighting somewhat confusing. All in all patch 2.4 is very nice I think. Patching was very smoothly, I turned off most of my addons (except Bongos2) at patch day, and updated everything thursday and friday night and dropped a lot that I didn’t use much anyway. 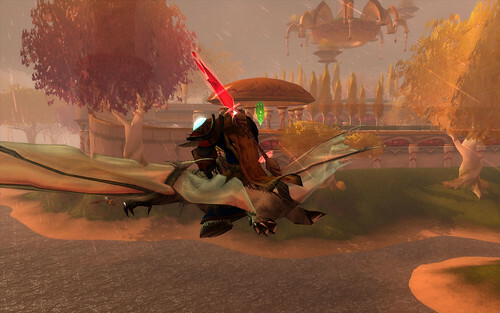 Oh and I can now press my mount when I am in Moonkin and I morph into caster form and hop on. Very convenient ;).